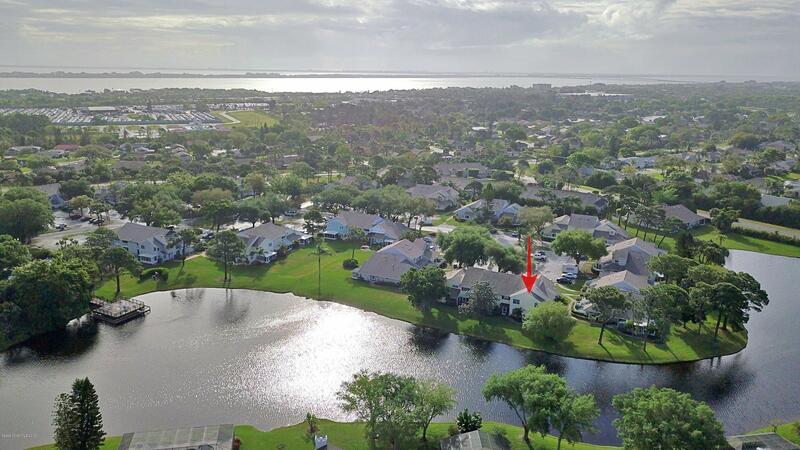 Beautiful direct waterfront townhouse in desirable Players Club community of Suntree! This two bedroom, two and a half bath unit, boasts lake views from every room! Features include wood-look tile floors in living and dining areas, laminate wood floors in bedrooms, french doors leading to master suite with vaulted ceiling, and new matching stainless kitchen appliances. Relax in your large screened and covered back patio, or catch some sun on the additional private pavered area. The community has plenty to offer, from its large pool with separate spa, fenced tennis courts, to the community dock. Centrally located near great restaurants, shopping, schools, and only minutes from the beach; you don't want to miss out on this great unit!